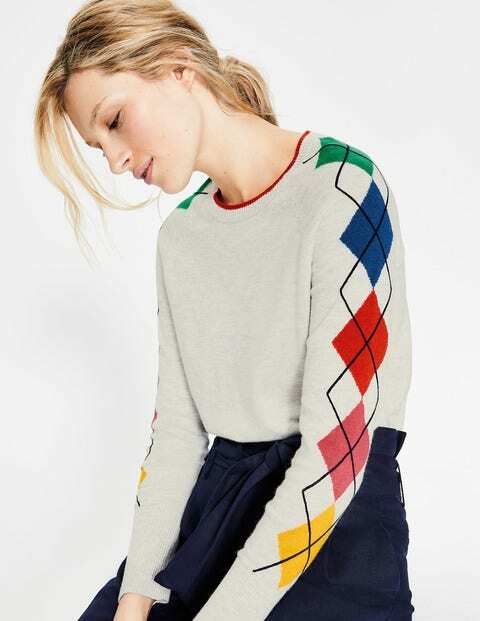 As if the supersoft merino blend wasn't enough, this jumper is bursting with character too. Decorated with a choice of fun designs, it's the life of the party (or just extra fun during a stroll in the park). Pops of colour at the cuffs and contrast tipping complete the look.